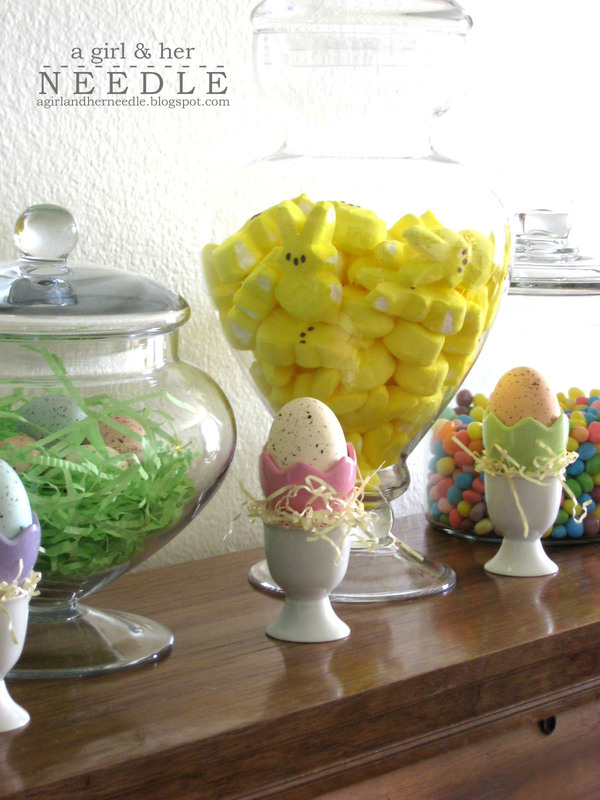 Every holiday the Hubby complains about Peeps. I don't know what he has against the puffy little things. After all, they are just marshmallows covered in colored sugar. What's not to LOVE? 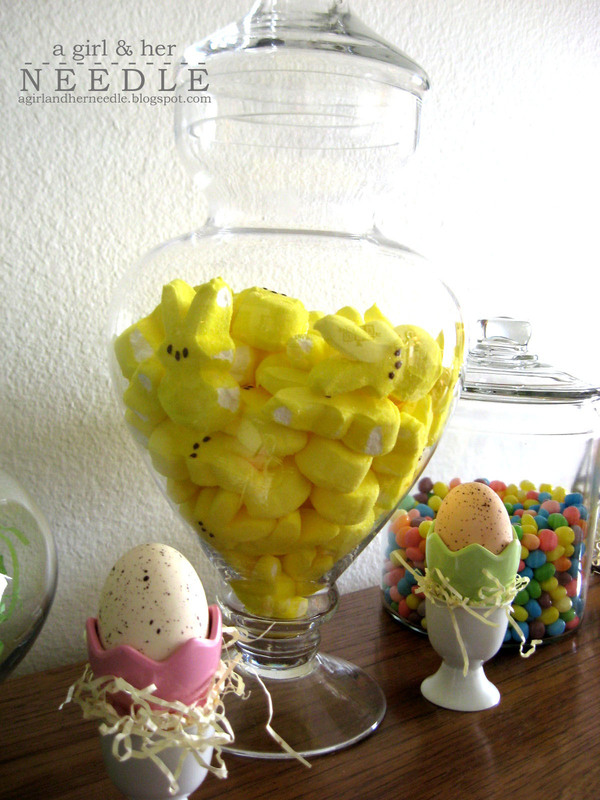 So, I thought it only fitting that I fill a jar FULL of Peeps to send him off in the morning when he leaves and greet him in the afternoon when he returns!